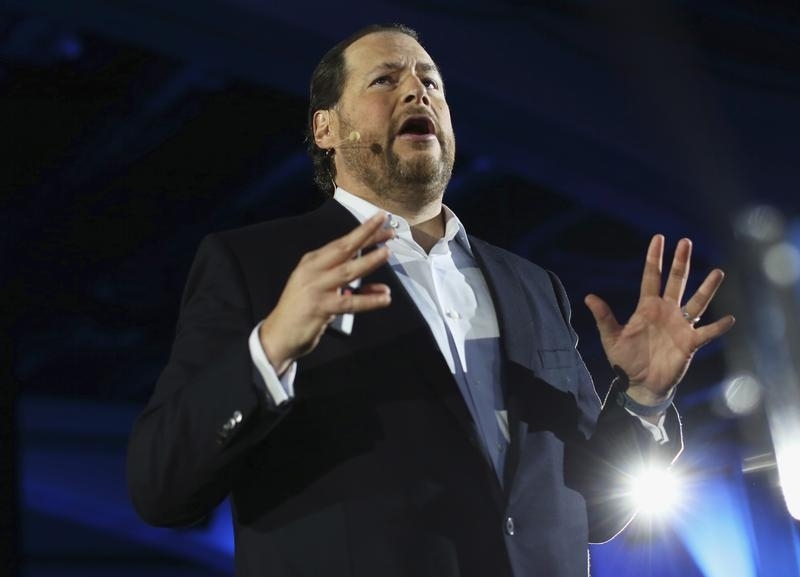 An advisory vote approving the cloud software company’s executive pay passed narrowly, with founder and boss Marc Benioff’s 6.5 pct stake more than accounting for the majority. Investor ire, despite stock gains, suggests compensation at the $47 bln Salesforce is out of whack. Would Microsoft really want to own Salesforce? Salesforce.com shareholders narrowly approved the compensation of named executive officers in a non-binding resolution. The cloud software company said in a securities filing on June 9 that 298.2 million votes were cast in favor and 268.2 million votes against, a difference of 30 million votes. Marc Benioff, Salesforce.com’s founder and chief executive, owned a 6.45 percent stake, or 42.4 million shares, in the company as of March 1. That figure includes 4.2 million shares in vested and exercisable options.